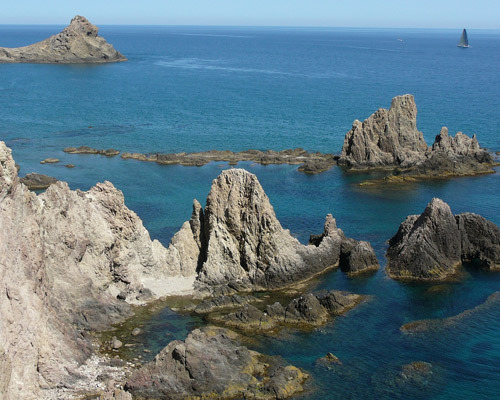 This region is made up of the coastline of Almería province. The coastline is home to thousands of plastic greenhouses however there are also beautiful wildlife reserves lining the coast and of course, kilometers of beaches to attract sun seekers. In Costa de Almería tourists can enjoy many activities, as golf, gastronomy or excursions.